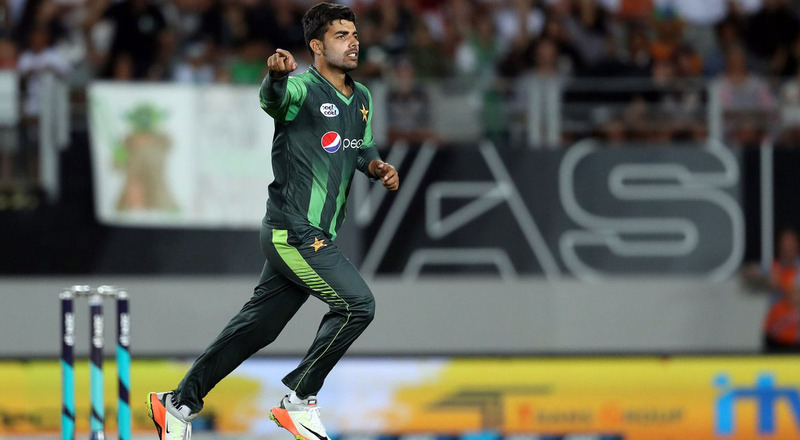 Pakistan’s young spinning sensation Shadab Khan has been fined for the 20 percent of his match fee and received one demerit point from the ICC for a Level One breach of the ICC Code of Conduct. The 19-year old dismissed Chadwick Walton of the West Indies after conceding a six from him and celebrated his wicket by pointing his finger towards him and making ‘inappropriate comments’ in the second T20I of the series. The third and fourth umpire of the game complaint to the ICC on which they took the action. “The Pakistan wrist spinner was found to have violated Article 2.1.7 of the code, which relates to ‘using language, actions or gestures which disparage or which could provoke an aggressive reaction from a batsman upon his/her dismissal during an international match’,” the ICC said in its statement. “The incident happened in the ninth over of the Windies’ innings when Shadab, after dismissing Chadwick Walton, pointed his finger at the departing batsmen and also made an inappropriate comment,” the ICC press release regarding the disciplinary action read. He has received one demit point, if he receives three more in the next 24 months, he will be banned for few matches. As Shadab admitted his offence and accepted the fine imposed on him by the match referee David Boon, there will not be any formal hearing.